Planned Purity is Jennie Bishop's model explaining how purity is formed in a life, beginning with the heart and including sexual purity at the appropriate stage. A simple concept called The Five Doors of the Heart can be applied when parenting young children, and also applies to adults pursuing purity themselves. Planned Purity uses a diagram to show how purity of heart and sexual integrity may be developed strategically in a family or in individual lives. The Planned Purity Blueprint begins with a foundational definition of purity, proceeds to the “first floor” of shaping the heart via the Five Doors (the senses). The second floor features seven windows of opportunity, providing categories of boundaries that may be set in a pursuit of sexual purity. The roof explains accountability and mentoring to protect the standards of purity in place. Finally, the circle of grace makes it clear that the process of growing in purity requires redemption, room for mistakes, forgiveness, and humor. 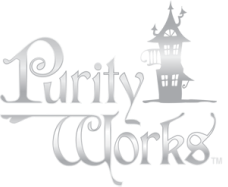 Planned Purity is taught through five-session Saturday seminars, speaking engagements and through our resources. The book, Planned Purity for Parents, moves through the entire blueprint, providing a Saturday seminar in book form as well as a resource section with scripts, object lessons, family contracts, and more.